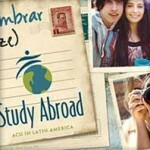 Pre-flight resources for students in the ACU in Oxford program. Study abroad has come a long way since the English nobility struck off across the Channel with nothing but their tutor and their Baedeker–the 19th-century German version of Rick Steves. This side of the email-Skype-GPS-cell phone, the world seems to be shrinking even as travelers are no less dependent on trusted guides. We offer the following as a preliminary list that will grow throughout the semester. Please add your own favorite apps, podcasts, and travel sites in the page comments and we’ll work with Study Abroad to keep these links updated. Look forward to hearing what you discover. Unfortunately, for all the strides EU diplomacy has made in bringing Europe closer, cell carriers have been equally busy keeping the landscape carefully divided. If you plan on carrying your cell phone (pronounced “mobile”), do your homework. If you’ve grown accustomed to having unlimited texting and Internet at your fingertips in the States, make sure to research costs before heading abroad. For iPhone users, here is AT&T’s international page with more information on plans and pricing in Europe. Pay-as-you-go cards may be available on other carriers with the ability to “top-up” when your credit runs low.